Day 01Mountain flight from Kathmandu Airport early in the morningWe drive from hotel to the domestic terminal at 5 am . It takes 20 minutes to reach to airport in the morning. It is better to be there before one hour of the flight. We fly sharp at 7 am . It will be of one hour flight. 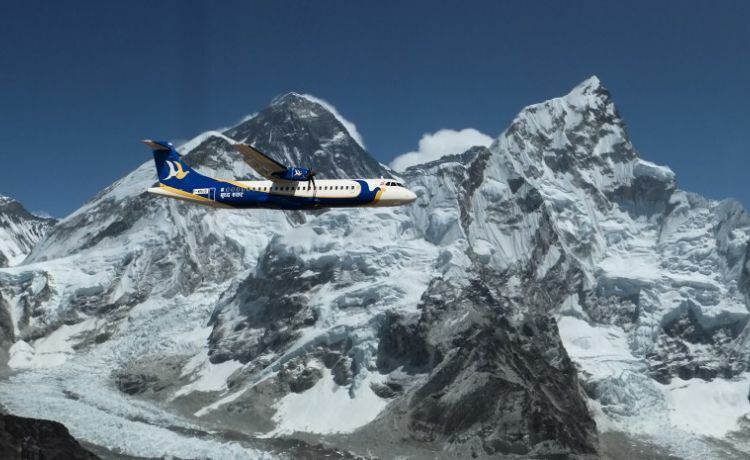 This an hour flight covers all the mountains from Goshaithan to Everest Region. We have great opportunity to view the highest peak in the world and its adjacent peaks. This flight is fit for any travelers of any categories and particularly for those who do not have enough time to do trekking or unable to explore Himalayan settlement. After one hour flight, we fly back to airport and drive back to hotel. We take our breakfast then we begin our sightseeing as per our schedule for the day. Mountain flight is the easiest and the most luxurious type of trip to view highest Himalayan peaks of Nepal. This means of trip suit for any group of people children to the old aged people. This is more time saving for them who have very short span of time staying in Nepal. Most flights are operated in the morning except in the monsoon. All the domestic airlines in Nepal offer the mountain flights. The aircraft takes off from Tribhuvan International Airport at Kathmandu. Soaring high above Kathmandu, it heads towards east and appears the first mountain Goshaithan, also called Shisa Pangma (8,013 m).To the right of it, Dorje Lakpa (6966 m) can be seen full of snow. Phurbi Chhyachu, which looms over the Kathmandu valley. Mountain Fight may be cancelled due to bad weather or some political strife etc. which are beyond our control. This can cause the change of itinerary.